If you’re not getting 7-10% of the total number of people in your database to engage with you, there’s a good chance you’re not casting a large enough net and not reaching them in the most relevant way. In the midst of Q1, it’s time to think about ALL of the channels that you can use to touch more people and get more listings. By reaching into your database, you’ll be able to capture the referral business you want from the people you already know. 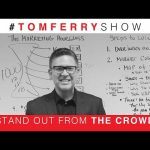 26 Responses to "How To Get More Referrals Straight From Your Database | #TomFerryShow Episode 5"
How great is your Smoke Signal return rate? I can’t seem to get that one going very well. Very very useful!!! Thank you!!! 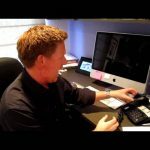 Loved the one about using their location to target specifically and the LLA on facebook, thanks for the great video Tom! Hi Tom, not sure I understood what you meant with the Match.com snippet, what were you saying? After 31 years in the business it’s always good to get refreshed with one of your video’s. The only thing I saw missing from your list of items was, creating an opportunity to meet face to face, coffee, lunch, at their kitchen table. I believe people still love the touchy, feely part of meeting face to face and really appreciate when it’s done. This video is awesome—I’m a new agent and working to establish good habits for my database early on—this video is a gold mine! Thanks, Tom! I love how you remind us that being relevant in this industry is key! 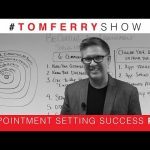 I struggle with doing new things, but Tom Ferry has made me step out of my comfort zone….Great advice, please continue with these awesome YouTube videos! This video is a goldmine of info! I loved it and I definitely went ahead and shared it. He got redder and redder as the video progressed. the property Valuation Page is A-W-E-S-O-M-E!!!!!! I personally think its a great way to mkt myself in getting the home owners to reach out o me and show them I’m a real mkt expert unlike other agents sending flyers saying call me for a free mkt analysis… theproperty valuation page it telling my targets to not just call me, GO TO MY page… can my coach help me out on this project? Idea= Projects!!!!!! woohooo it’s only 7:09AM EST and I’m feeling the adrenaline rush!!!!! I’m loving this Tom!!!! Keep the good stuff coming… its like a drug! I need to get hook on this!!! 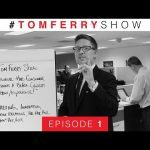 I dont have words to express ,Its a awesome veido and I’m glad to thanks to Tom ferry sir ,I love it .no one is like Tom ferry the real rockstar. Just rewatched and shared with all my clients. What a great way to kick of 2017! Where are the ‘show notes’ available? Watched this again after not listening before. Now, I am still wondering if the people I know on my sphere of influence are really good for my database? I have a lot of agents in my data base! I need to go back and I ask: to who or where do I go for SOI names!! I appreciate your advise. I would love input for NEW agents, please. reviewing videos this AM and this is still good info. Thanks Tom!